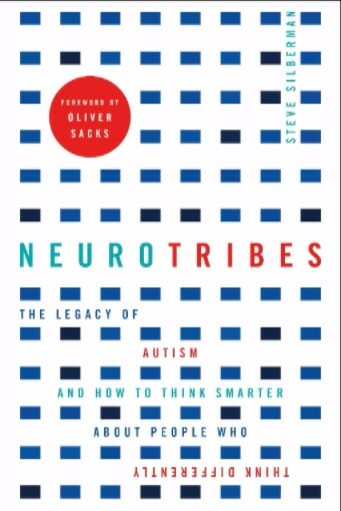 Towards the end of last year, it was nigh on impossible to miss the avalanche of rave reviews that greeted Steve Silberman’s tour de force: Neurotribes: The Legacy of Autism and the Future of Neurodiversity. On 2 November, these plaudits were closely followed by the announcement that Steve’s tome was the worthy winner of the Samuel Johnson Prize for Non-Fiction 2015. Shortly before Steve stepped up to receive his award, Anne Applebaum (chair of judges) praised his unique book for combining “history, journalism and science in order to describe how popular and scientific understanding of the human brain have evolved over time”. When I finally managed to get my hands on a copy, it was a rare treat to discover a publication that more than exceeded its acclaim and my expectations. I had read the wonderful reviews, digested his brilliant book and was now set to speak to him armed with a host of readers’ questions and a Dictaphone. Almost one hour later, I emerged from this most edifying of interviews thoroughly enlightened by his outstanding replies to your questions. I hope that you enjoy reading this as much as I relished putting it together and would like to thank Steve for finding the time to speak in the midst of a rather relentless schedule. Thank you to all those of you who took the time to send me your questions. As ever, I would welcome any comments, queries or suggestions that you might have. 1. A reader’s question: Is Steve himself autistic? Can a normal person, regardless of their expertise and knowledge, fully understand and feel the day-to-day realisation of simply not belonging – the anguish of oddness? 2. A reader’s question: Given the depth of your research, if you could give three pieces of advice for SENCOs to share with less specialist teachers about how to best support secondary school autistic children in mainstream school classes, what might you say? 3. A reader’s question: There’s been a move over the past five years or more towards talking about ‘autisms’ rather than ‘autism’. Have we reached a point where we can abandon the notion of finding a cause for autism and accept that the heterogeneity of autism is most likely rooted in diverse causation – giving rise to the individual presentation of characteristics that fall within the broad phenotype? In other words, is there any value in pursuing causation research? 4. A reader’s question: In your research, have you found any significant differences between genders in terms of characteristic autistic traits? 5. A reader’s question: Asperger wrote very rich case studies on the boys who he worked with. Is this approach valuable in supporting personalisation in education? 6. The case studies that you highlight in your book, not only perfectly place the human dimension, but, as importantly, emphasise the fact that the issue of diagnosis itself is so political. So, for example, some children need to be labelled with a disorder to receive the education/other services that will enable them to thrive. Do you feel that autism can move out of this political dilemma and reclaim its own language in the future? 7. A reader’s question: Your book is in memory of the English psychiatrist Lorna Wing. You’re a great advocate of her work, what are the key messages from her legacy? 8. What do you feel the future holds for those with autism. Have we reached a sustainable point or is there the danger of some sort of regression? “Well, I’m not as normal as all that. First, I want to take very seriously the notion that, as a non-autistic neurotypical person, I can’t know what it’s like to be autistic. I think that’s true, I can’t. That’s why I interviewed so many autistic people. And it was also crucial that one of the first steps in my research was to go to a so called autistic retreat called Autreat – where I was in the neurological minority for the first time in my life. There were about 70 autistic people there, creating a culture and physical environment in which they were comfortable. So, for the first time in my life, I wasn’t in a world that was rigged in favour of neurotypicals. “What did I notice? For one thing, it was very relaxing for me, because a lot of the sensory assaults that we get used to were not there. Autreat was such a comfortable environment and no one was expected to do anything. You were simply invited to participate in the events and it was as wonderful for me as it was for the autistic people there. So, no, I cannot speak for autistic people. You know, when reporters ask me to comment on autism, I often say that they must also interview autistic people. So, I consider myself an ally of the autistic movement, but I’m not autistic. “That said, however, when I was in high school, I had what was considered a serious form of mental illness. It was even listed in the DSM [the American Psychiatric Association’s Diagnostic and Statistical Manual of Mental Disorders] – it’s called homosexuality. I came out to my parents when I was in high school and they were not happy about that. They immediately sent me to a therapist for ‘the cure’ until homosexuality was delisted from the DSM in the early ‘70s. And what’s particularly interesting here is that it wasn’t delisted because of any breaking news in science, but because of political organising by closeted gay psychiatrists and street protestors. I was ‘cured’ of a mental illness by a political movement. So, I certainly know what it’s like to be bullied, marginalised, excluded and to have the nicest aspects of my life described as impairments or forms of mental illness. And now, I’m a happily married gay man because society changed. “One piece of advice would be to read a book called Uniquely Human: A Different Way of Seeing Autism by Barry Prizant. Barry uses a form of intervention called SCERTS [Social Communication, Emotional Regulation and Transactional Support], which is not like ABA [Applied Behaviour Analysis]. What’s crucial about his approach in Uniquely Human is that, instead of classifying behaviours as autistic and thus problematic, he sees all autistic behaviours as human attempts to cope with an environment that is overwhelming, daunting, confusing or uncomfortable. “Instead of looking at a child who is behaving in a difficult way and saying: ‘well, you know, that’s what autism is, they’re injuring themselves or they’re having a tantrum’, he asks: ‘what is the impetus for that behaviour in the environment’? So, for example, if you’re a neurotypical teacher, you may well not notice the buzzing of the fluorescent lights in the ceiling, or the clothes that the child is wearing. And this is key, instead of thinking of pathological versus normal behaviour, we need to think of all behaviours as human and then look at ways to remediate the discomfort/the annoyance/the problem in the environment. If we do this effectively, then we will get a much clearer idea of what we really need to do to help the child. “We also need to encourage mentorship opportunities for people on the spectrum. Wherever possible, consult with autistic adults/bring autistic adults in to speak to younger autistic people and promote relationships between older and younger people on the spectrum. Why is this so important? Because neurotypical adults will never really understand what an autistic child is going through – even if they’ve taken a million hours of psych classes. It will not only enable an autistic child to see what works in an autistic adult’s life but also allow them to see that an autistic adult can enjoy as successful, happy and creative a life as a neurotypical adult. And that is so important because, for so long, autism was thought of as this ‘childhood disorder’ and, as such, young autistic people had no role models and they need role models like we all do. So, encourage mentorship opportunities for young autistic people with older autistic people whenever possible. “I think that that’s a very good question. Many researchers that I speak to talk about ‘the autisms’ and I think that it’s very clear that what we call autism is a broad social construct – sometimes too broad. As such, autism is an umbrella term for a heterogeneous muddle of conditions with distinct etiologies. What’s particularly interesting here is that we like to pretend that this is a new thing – a 21st century insight – but even Kanner understood this. He knew that autism was a convenient label and he used to talk about the fact that there was a condition called ‘the fevers’. It wasn’t until we started to break the fevers down into a set of disparate conditions that we could really look for the cause and think about therapies. “We will be able to study causation more effectively when the distinct phenotypes within autism are more clearly drawn. So, at the level of research, I think that this is true. I would suggest, however, that the concept of the spectrum is still very useful socially and for some reasons that are not immediately apparent. For instance, it’s common for parents’ organisations to point to people like Temple Grandin and say that Temple Grandin is simply not the same as their children. They say that their children have really severe autism and that Temple Grandin did not. Well, this is not correct, for Temple did many things that would have been identified as severely autistic. She was kicked out of a bunch of schools, was very rebellious, and was prone to meltdowns because no one understood about sensory sensitivities and autism. She even threw her poo against the wall and so on – which is something that parents often talk about as a symptom of severe autism in their own children. “The thing is, conceptually, the spectrum is, by its very definition, designed to accommodate each and every autistic person as they grow and develop. This is because people do not necessarily end up in the same place as they move through their lives. Autistic people (like non-autistic people) grow and mature and develop and acquire new skills, even if they do it in a distinctively autistic way, that do not parallel the milestones of neurotypical development. In this way, the spectrum idea accommodates change. “But there’s another insight that is really only emerging now in the writings of autistic self-advocates. Which is that kids (who are very profoundly impaired/non-verbal), can often relate to verbal autistic adults in a really profound way. I have seen this happen with my own eyes. It’s as if people across the spectrum are on some frequency that they can pick up on. My friend John Robison, who is autistic and the author of a great autobiography called Look Me in the Eye, has said that it’s like dogs recognising other dogs. They can relate to one another and understand each other’s reactions. “Oh, absolutely, I think that we’re in a very primitive era in the understanding of what autism looks like in women. And that’s because autistic women have been almost completely overlooked for decades. Asperger acknowledged that they might exist and was smart enough to recognise his own limitations. Kanner did write about girls who were autistic but, for some reason – probably due to sexism – his writing in this area hasn’t gotten the same attention as his writings on boys. It’s partly because many autistic people initially come to the attention of the authorities (teachers, police, etc.) because they behave in an aggressive manner. And, more generally, I think that women, historically, have been socialised to be non-aggressive, to fade demurely into the background, and to script their remarks to fit in. In contrast, boys have typically been rewarded for being outrageous, insensitive and tough. “This socialisation fault line has tended to conceal the true extent of autism among women. An oft-cited statistic is that there are four times as many autistic men than women. The reasons for this are disputed and the fact that there is genetic research going on into what is termed the ‘female protective factor’ reflects the different schools of thought. Whatever the cause, what is most striking is that I don’t think that we’re even close to estimating the true extent of autism in women. For example, many of the most compelling self-advocate authors are women and they’re bringing their experience to light in a way that will make it easier for us to understand what autism is like in women and I think that’s a very good thing. “The thing about Asperger and Kanner is that they were both excellent writers. I don’t speak German, so I wasn’t able to read Asperger’s paper in its original language. But what’s so interesting is that both Asperger and Kanner had training in the arts. Asperger loved poetry as a young man and would read poems to the children in his clinic at the University of Vienna. While Kanner started out wanting to be a poet, to his mind, he had been side-lined into medicine. In fact, so much so, that at one point he said that if his poetry had been better, he would have been killed in the Holocaust because he would have stayed in Eastern Europe. “Ultimately, what’s particularly striking about both of their case histories is that they were able to communicate a pattern to their colleagues so easily, which is a wonderful advantage when autism is very much defined by a constellation of behaviours that vary so widely. And you know, I do believe that case histories – as many as possible really – are one of the best ways to make that pattern known. Obviously, if we ever come up with a biomarker for autism, you know, that will probably supersede case histories, because that’s the direction that medicine is moving in – towards so called big data. “Oliver Sacks, who I knew and who wrote the introduction to my book, was a big believer in case histories. Why? Because they allowed the clinician to not just talk about the disease/syndrome that the person had, but to give a sense of the patient’s life, what they were struggling with, what they were trying to achieve, and the changes in their life circumstances that they had to make to cope with the limitations imposed by the syndrome. “More particularly, Asperger’s case histories were a bit more compassionate than Kanner’s. Kanner tended to see the shadow of psychopathology even in behaviours that we now know are actually the special gifts of autistic people. For instance, he talked about the fact that one of his patients was able to identify 18 symphonies when he was not even three after hearing just a couple of bars. But, whereas Asperger would have thought that that was a very interesting aspect of what he called ‘autistic intelligence’, Kanner’s view was that these children were desperate to impress their yuppie parents. In short, Kanner had a way of casting everything in a negative light and Asperger did not do that. So, you know, I think that case histories are still very valid, even if we eventually come out with a biomarker. “Autism is not just a diagnosis anymore – the genie is out of the bottle. Now, it’s a tribal identity. Autistic people encourage one another by sharing their own stories and informing science. However, this wasn’t always the case. For instance, it wasn’t until Temple Grandin started talking about how uncomfortable her dress was in church on Sundays, that scientists even started thinking about sensory sensitivity in autism. And so, on balance, I think that the emergence of autistic culture is probably the most significant development in autism in the last 25 years since the expansion of the spectrum. And, of course, it couldn’t have happened without the expansion of the spectrum. “The spectrum enabled the creation of this culture that, in a sense, escaped into the wild and autistic people no longer have to look to clinicians to define their own lives. They can define their own lives with their peers. And so, that’s an interesting thing, because I think that it’s very important that the future of research and intervention is informed by what self-advocates say that autistic people truly need. That’s parallel to, in a sense, how the parent movement started to inform research, although the parent movement unfortunately, very tragically, got diverted by the vaccine hoax. “Lorna was the mother of the autism spectrum. She broadened the diagnosis so that more autistic people and families like hers could get the help that they were so desperate for. She was the ideal person to relay this message because, as a clinician, researcher and mother of an autistic daughter (Susie), she instinctively knew that Leo Kanner’s theory of refrigerator parenting was ‘bloody stupid’, as she told me. What’s particularly interesting is that, although Susie would have been eligible for a diagnosis under Leo Kanner’s very strict criteria, Lorna’s networking with other parents of autistic children meant that her understanding of its prevalence was much broader than Leo Kanner’s proposition. This realisation preceded her seminal Camberwell study, a publication that would clarify the autism spectrum in her mind. “Her unique personal/professional experience meant that she also knew that autistic children became autistic teenagers who transitioned to autistic adults without any influence from so called refrigerator parenting. This realisation, at that moment in time, placed England 30 years ahead of America. In sharp contrast, in the US, people called Ed Ritvo ‘crazy’ when he started to look for biomarkers for autism at UCLA. “Lorna’s clarity was fuelled by Hans Asperger’s 1944 paper. When I met her, Lorna told me that she and Judith [Gould] (her assistant) noticed a broad and colourful range of people with autistic traits when they put the Camberwell study together and that she didn’t really know what to make of it all until she saw reference to a paper by Hans Asperger – who nobody had ever heard of because Leo Kanner had never mentioned him. So, seizing this, she asked her husband John (a very impressive researcher in the field of schizophrenia) to translate it because he spoke German. At that point, a light bulb went off in her head. 8. What do you feel the future holds for those with autism? Have we reached a sustainable point or is there the danger of some sort of regression? “Well, I think that there is a danger of regression. And, unfortunately, you know, American politics couldn’t look worse. On the one hand, you have Donald Trump still babbling about vaccines in 2015 and, on the other, you have Hillary Clinton’s progressive autism plan. “When Hillary announced her autism plan a couple of weeks ago, I was really impressed with her proposition to carry out the first study of autism prevalence in the US. In this day and age, it is absolutely appalling that, after 15 years of yelling about vaccines and autism epidemics, we have never actually sat down to figure out whether there is a true rise in prevalence. Of course, Terry Brugha did that in the UK in 2011 and discovered that autism is just as prevalent among older people as it is among children. And this fact, in itself, may well suggest that there has been no rise whatsoever. But it really does need to be investigated in the US and, for that reason, Hillary’s announcement is welcome, though some autistic self-advocates are unhappy with her plan because it includes more funding for ABA [Applied Behaviour Analysis] and many autistic people have terrible memories of ABA. “Autism parenting organisations (even those that didn’t believe that vaccines were responsible) grabbed on to the notion of an epidemic because autism had been overlooked for so long. And there’s nothing like the word ‘epidemic’ to get you into the headlines. But I think that was a deal with the devil, because it rendered autistic adults, who had been invisible for decades, even more invisible. “It’s imperative that we make the world a better and more accessible place for disabled people – not only those with autism but those with any form of disability. Because, when we do this and tackle things with this mindset, ultimately we tend to ensure a better quality of life for everyone. Let me give you a couple of very humble but pervasive examples. “First, consider the ‘kerb cuts’ that enable wheelchair users to ride from roads onto sidewalks smoothly without having to jump over a kerb. Kerb cuts were originally created for wheelchair users, but now every parent with a baby stroller is thankful for them. Why? Because they can roll their stroller down the street without having to hitch it up to reach a kerb in the sidewalk. Secondly, what about closed captioning? Originally, it was invented for people who are hard of hearing. Now everybody reads their news on the treadmill at the gym. Steve Silberman is an award-winning investigative reporter and has covered science and cultural affairs for Wired and other national magazines for more than 20 years. His writing has appeared in the New Yorker, TIME, Nature and Salon. He lives in San Francisco.